When speaking to applicants regarding a failed background check, always mention the federally mandated “Adverse Action” rule. Adverse action is the term used when any information that comes to light through an employment background check results in an adverse decision such as dismissal, non-promotion or passing on a candidate. However, before the final decision is made, employers are required by federal law to provide an adverse action letter to the applicant. This letter is a written notice that must be delivered in either hard copy or electronic form. The purpose of the letter is to explain to the job candidate why they may not be hired or promoted due to the findings of a background check. Adverse Action is a two step process. 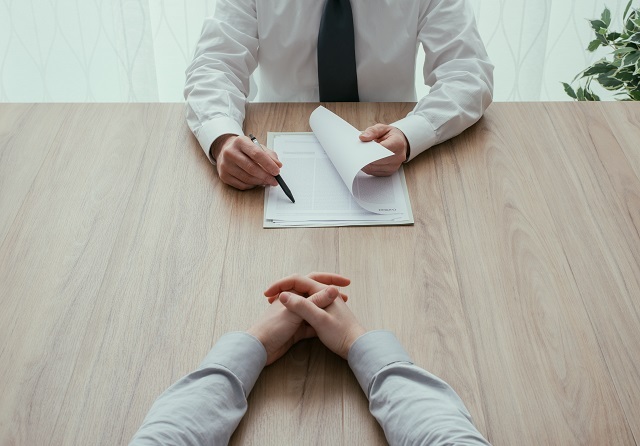 The first letter, the pre-adverse action notice, informs the candidate that you are reviewing information in their background check that could cause the job offer to be rescinded. If the candidate does not dispute the information the final adverse action letter is sent. The final adverse action formally rescinds the job offer. An applicant must be given a reasonable amount of time to review the report and clarify or dispute any information they feel to be inaccurate or misleading. A generally accepted period of time to allow is seven calendar days. There are some fairly strict federal regulations for this process, and you can learn more at eeoc.gov. A sample letter is also included on the site. Consumer credit reports can help identify potential problems for candidates who hold poor credit ratings. But is that enough to base your hiring decisions on? As per the law, when it comes to a consumer credit report, a company can not make hiring decisions based on negative entries revolving around medical debt or student loans. These reports can show a track record of financial mismanagement that can be relevant to the hiring of those who manage finances or employees who handle money on a consistent basis. But these reports should also be reviewed with an eye to local circumstances and events like the Great Recession of the early 2000s. If your company decides to use the data from these reports, consider a scoring system that helps to identify key variables and decisions of the applicant. Better yet, use the knowledge and insight of a professional background check company to help you identify real and impactful issues within these reports. Additionally, the use of this information in hiring decisions leads to more due diligence by the employer, including the provision of Summary of Rights forms. Remember, it is critical to mention that many states, counties, and municipalities have their own statutes on applicant rights. If that is the case in your jurisdiction, copies of those statues must also be supplied to applicants. As we have mentioned in past writings, the opportunities and challenges with the previously incarcerated are many and complex. Campaigns covering issues like “Ban the Box” and “Fair Chance” will keep hiring professionals busy in determining what new legislation may influence their employers’ hiring practices. These are all issues that can have major impacts on your workforce and your company. Employers have many barriers to overcome throughout the hiring process. Recognizing this and using the tools of a reputable, professional background check company can help you navigate through these growing trends and the legislation that follows.